SBI (State Bank of India) CLERK Prelims 2018 Shift 2 (Day 2) review is now released as the slot 2 of SBI CLERK Exam is finished. The SBI CLERK Prelims Exam 2018 – Slot 2(Day 2) is in the easier range. This is the first exam of the season which begins the start of the exam season in 2018. 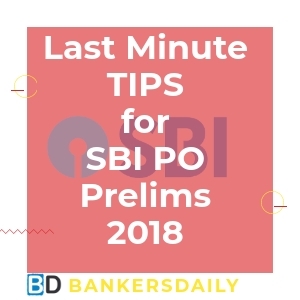 The SBI CLERK PRELIMS EXAM 2018 Slot 2 -Day 2 review is over and as said in the last minute tips , they had provided Rough Sheets for the exams and not lamination sheets. Also the patterns in which the Sections are asked is provided below. Quantitative Aptitude is in the Easier range and English too falls in the same category. Some of the aspirants said only the Reasoning section was in the easy to moderate range. So we can expect the same type and the difficulty level to follow in the upcoming slots too. Read the Review of the SBI CLERK Prelims Exam 2018 – Slot 2(Day 2) Review from the below tables. How many questions have you attended in the SBI Clerk Prelims Exam 2018 ? Your valuable feedback about the exams and the questions asked in the SBI CLERK Prelims Exam 2018 will be helpful for the other candidates and also to the ones who wish to know things in the exam. Overall English Section is Easy. NO New Pattern Questions were asked in the English Section. Reading Comprehension totally 7 Questions were asked. 8 Spot the Errors Questions were asked. No New Pattern Questions were asked. Box & month Based Puzzle was asked which constituted for 5 Marks. SOT was asked instead of seating. 5 Alpha Numeric Series were asked. 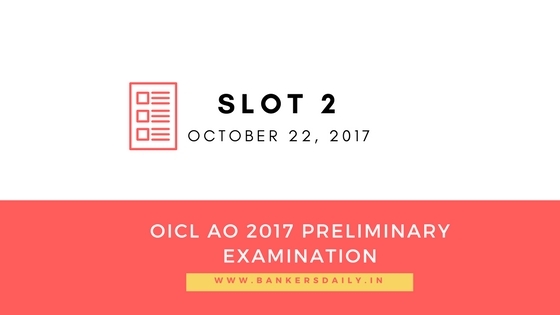 We will share the Questions asked in the SBI CLERK PRELIMS EXAM 2018 – Slot 2 of Day 2 as soon as we get the Questions. Wait for the Updates friends. 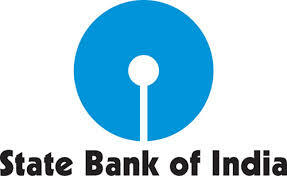 We have given the review and analysis of the last 4 slots of SBI CLERK PRELIMS – Day 1 in the below attached video. 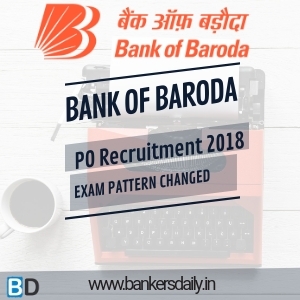 Check the Previous Year Cutoff Marks of SBI PO & SBI CLERK Prelims Exam 2018 from the link that is provided below.